The film is soporifically narrated by Scott Tinker , of the Texas Bureau of Economic Geology, who was also the major content advisor for the film. This a guy who has never met a fossil fuel he didn’t like. Dramatic footage of giant coal seams being merrily blasted to bits and carted off by hefty he-men driving 400 ton trucks are interspersed with wide-eyed kid-gloves interviews of energy-industry workers and executives in which Tinker looks like he’s overdosed on Quaaludes by way of preparation. There are a few segments on renewables thrown in, and even the token environmentalist or two, but the impression you get over most of the film is that only the fossil fuel guys have the right stuff. TINKER: Looks like you guys got yourself a dead cat there! BOYS: Yep, did it ourselves. But dontcha worry, we saved the fur, and we’re gonna put everything back JUST THE WAY IT WAS! TINKER: (glassy-eyed and nodding) Why, that’s just AMAZING! Be that as it may, you never get to see or hear anything about mountain top removal coal mining (hint: they don’t save the mountaintop and put it back). On a tour of the Alberta Tar Sands, you get to see the insides of an antiseptic lab where happy technicians reverently pass around an adorable little flask of dilute bitumen (it looks so pure don’t you just want to drink it right down) while Tinker gapes in awe, but you never get to see the vast scale of environmental destruction wrought by tar sands mining outside. 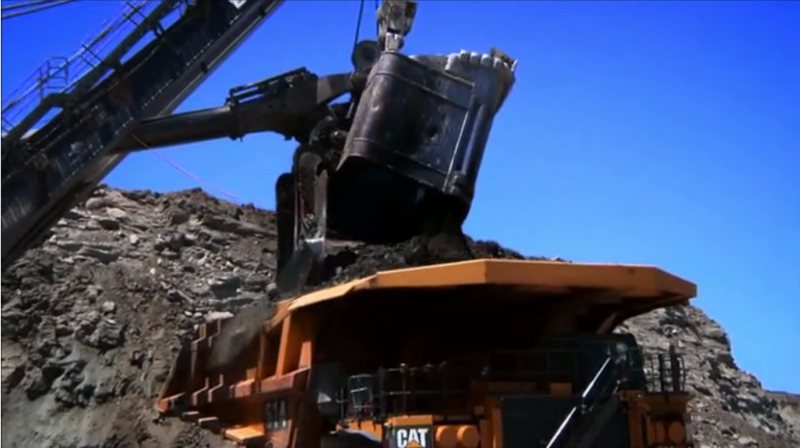 And while the film eventually gets around to loving natural gas, it skirts around the paradox that the tar sands consume a relatively low-carbon clean fuel (natural gas) that could be used directly as transportation fuel, to produce a dirty high carbon product (dilute bitumen and petcoke). Happy drillers on a mighty Shell offshore platform duly tsk-tsk about the big Oopsie! that was the Deepwater Horizon blowout, while assuring viewers that they’ve got that one licked, and golly no that couldn’t happen to us. Why, they even have Internet so they can get advice from the mainland if they need it! Renewables, in contrast, are portrayed in a way that makes them seem wimpy — mainly by making inappropriate comparisons between small scale distributed power production sites and massive centralized power plants or oil production facilities. Tinker makes a lot of noise about the fact that the solar thermal site he visits in Spain was clouded over during the whole time they were filming it, which is probably meant to teach some lesson about intermittency, but instead leaves the viewer with a vague impression that renewables are not to be trusted. The film manages to say some nice things about the benefits of wind power in West Texas, and about Icelandic geothermal power, but on the whole the potential for renewable power comes off as fairly marginal, maybe the sort of thing little countries like Denmark or Iceland or Norway can rely on, but not big important places like us. The truly fatal flaw of SWITCH, however, is that it never comes right out and explains why it is so critical for the world’s energy systems to switch off of fossil fuels, and why time is of the essence in making the switch. There are some oblique references to CO2 emissions, but no mention of the essentially irreversible effect of these emissions on climate, of the need to keep cumulative emissions under a trillion tonnes of carbon if we are to have a chance of limiting warming to 2 degrees C, or of how short the remaining time is before we hit this limit at the rate we are going. On the contrary, SWITCH positively revels in the idea that fossil fuels will never run out, given a high enough price (which, by the way, is probably not true). The clueless Washington Post review of SWITCH shows how utterly the film has failed in what should have been its prime educational mission. The reviewer writes “Why not continue to use coal and oil while developing other energy sources and technologies?” The answer, my friend, is that CO2 is forever, and its effects are not nearly so pretty as diamonds. But neither the reviewer, nor any other viewer, could be expected to learn this from SWITCH. You begin to suspect something is really wrong when the first guy on screen to say something about climate is Richard Muller, of Berkeley Earth Surface Temperature Project fame, who managed to convert himself from a climate change denialist to a lukewarmer by arduously and noisily rediscovering what every working climate scientist already knew to be true. What Muller has to say about climate is that burning fossil fuels will cause the Earth to warm by about 2 degrees (“if the calculations are right”), but it’s going to be too expensive to stop it so we’ll just learn to live with it. There are so many things wrong with Muller’s statement that I hardly know where to begin. First, it is far from clear that a 2 degree warmer world is one that we can adapt to, or that the damages caused by such a climate would not overwhelm the costs of keeping it from happening in the first place. Second, if climate sensitivity is at the high end of the IPCC range or even beyond, we could be facing far greater than 2 degrees of warming even if we hold the line at cumulative emissions of a trillion tonnes of carbon. Third, even if climate sensitivity is at the middle of the IPCC range, that 2 degree figure assumes that we hold the line at burning one trillion tonnes of carbon (and we’re already halfway there). There are probably enough economically recoverable fossil fuels to go way beyond a trillion tonnes, which would take us to truly scary territory, especially in conjunction with high climate sensitivity. It gets worse once you realize that Muller’s cheery dismissal of the problem is essentially all you’re going to hear about the connection between fossil fuel burning and climate disruption. OK, so if the producer’s aim is for this film to play well in Nebraska, you can understand why he might not have wanted Tinker to interview somebody like Jim Hansen who’s been on the front lines of the climate wars and spent time in pokey for it, but how about Susan Solomon or Isaac Held, or Myles Allen or Richard Alley? How about any real climate scientist at all who could give an honest appraisal of what the world is going to be like if we continue unrestrained burning of fossil fuels — especially if fossil fuels never run out, as this film so cheerily predicts. SWITCH is made to appeal to fans of an “all of the above” energy strategy, but it never confronts the fact that if we want to preserve a livable climate, “all” simply cannot include continued (let alone expanded) use of fossil fuels for very much longer. The biggest challenge we face is not learning how to extract every last scrap of fossil fuel, but learning how to leave most of it in the ground. This fault pervades every nook and cranny of the film. When discussing carbon capture and storage (CCS), an interviewee quite rightly declares that the only clean coal would be coal burned with CCS; Tinker goes on to lament that we could make coal clean, but it’s too expensive so we won’t do it. The only conclusion to be drawn from this would be that in that case coal has to be crossed off the energy menu. But instead Tinker moves on without ever giving a thought to this discomforting conclusion. And it is not very comforting to hear Steve Koonin (former chief scientist for BP/Amoco and currently Obama’s Undersecretary of Energy) and Ernest Moniz (head of MIT’s energy program, Obama’s pick to head the DOE, and a major natural gas booster) spend so much time on screen defending fossil fuels. “It can’t be all bad,” says Koonin, in reference to coal. Well, actually, from here on in, coal is all bad, and the less of it anybody burns, the better. The segment on the developing world fails because it never addresses the question of what pattern of development could sustainably provide a decent standard of living for the worlds’ poor. Instead, in essence, it asks the question of what it would take to remake the world in Scott Tinker’s image — with all the energy usage that entails. In fact, you never get to see anybody but Tinker’s family using energy in their home, so you get no impression of how much access to a mere 200 watts of reliable power could transform the lives of poor Indians or Africans. At the outset of the film, Tinker arrogantly sets up his own energy consumption in his life as a Texas professor driving his oversized car from his sprawling house in the sprawling suburbs to wherever he is going in the course of his day as the measure of the energy required to support “a person” throughout the rest of the film. SWITCH shows no awareness that living in cities in and of itself leads to a lower carbon footprint, and that sound urban planning can multiply this advantage. This is an especially glaring omission, since most of the world’s people now live in cities, and the proportion is set to increase in the future. SWITCH never tells you that China could attain the standard of living of France without increasing its emissions at all, just by increasing the carbon efficiency of its economy to the current French level; nor does it tell you about China’s growing efforts in that direction, including most recently, a carbon tax. What SWITCH teaches you about the developing world is: They’re all gonna want cars and big houses like us, and they won’t go low-carbon because it’s too expensive, they’ll never pay for it and we won’t pay for them to do it either, so their emissions will soon swamp ours and nothing we do to reduce our own emissions will make much difference. It’s pretty much the standard “But … China!” argument promulgated by opponents of action to protect our climate. The fact that we will all pay for the consequences of a wrecked climate never figures into any of the costs mentioned in this movie. SWITCH plays Pollyanna on energy technologies to such an extent that I found it off-putting even when the film was advocating things I basically agree with. I think cheap, fracked natural gas has made a useful contribution to reducing the growth rate of US CO2 emissions, but I cringe when SWITCH parrots the industry-sponsored myth that we have a sure 100 year supply of natural gas (we don’t ). Further, as Michael Levi’s cogent study points out, natural gas has at best a very short-lived role as a bridge fuel. Moreover, if cheap natural gas kills off renewables and next generation nuclear, it is not only a short bridge, but a bridge to nowhere. I think expansion of nuclear energy has an essential role to play in decarbonizing our energy supply, and I greatly admire the success France has had with their transition to nuclear electricity. But I doubt I would have found the credulous interviews with American and French nuclear workers particularly reassuring if I weren’t already familiar with the issues from other sources. Even the segment on Norwegian hydropower, with which SWITCH auspiciously opens, manages to give the false impression that most Nordic hydropower is free-run hydro with a relatively light footprint on the environment; In fact, Norwegian and Swedish hydropower rely on a massive network of dams and reservoirs which have disrupted the lives of indigenous peoples killed off salmon runs, and destroyed whole ecosystems. 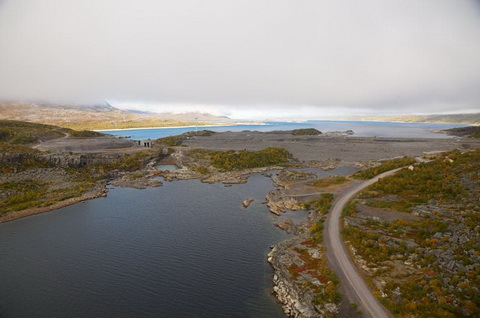 When the Suorva dam created Akkajaure in Northern Sweden, it drowned a biologically diverse chain of lakes and wetlands and turned off what used to be Europe’s largest waterfall.There is no question that hydropower is an important component of a carbon-free energy supply, but it is not helpful to sweep its environmental costs under the rug. Hydropower provides an example of the kind of difficult choice about conflicting environmental goods that global warming forces upon us. Given the facts, some of us might prefer a few more nukes to a few more Suorvas. Way at the end of the film Tinker finally gets around to the benefits of energy conservation, but by then it’s too late. The message has already gotten through that we’re really good at fossil energy so why bother, especially since the developing world is going to burn them up anyway? None of the incomprehensible moving lines on graphs which are supposed to make the case for the importance of conservation make a dent in this impression. Tinker’s big ideas about conservation seem laughably puny: a new water heater, a bit of attic insulation, and driving his kids to school in … golf carts! One wonders what’s wrong with his kids, or his neighborhood, that they can’t walk or ride their bikes. It would be easy to shrug off this film if it were just a matter of another hack with a minicam following Bjorn Lomborg around, but this has the backing of the GSA. The GSA has its share of members in the fossil fuel industries, but it is a respectable scientifically sound organization, which has taken a decent position on global warming. The GSA has not only blessed the film with its prestige, but is heavily promoting it as the anchor of its energy awareness campaign, with solicitation for Inconvenient Truth style “ambassadors” to promote the film’s agenda, and even a K-12 educational component. I think I do understand how the film took a wrong turn somewhere along the line. If you want to change minds and touch the heartstrings of a new audience rather than just preaching to the choir, it is probably more effective to find common ground in talking about solutions rather than by scaring the pants off people by talking about the scary consequences of global warming. I’m entirely sympathetic to this approach. But there’s a difference between positive messaging and losing sight of the nature of the problem that needs to be solved, to the point that one even loses sight of the message that needs to be conveyed. That is where SWITCH not only takes a wrong turn, but drives right off the cliff. The GSA ought to distance itself from this fiasco. Schools should avoid it like the plague. Without being kept on life-support by the GSA, the film is so boring it will probably die a natural death. This film is a lot like those “duck and cover” movies that I saw as a kid, from which I learned that I could survive a nuclear strike if I put my head down against the lockers and covered up with a winter coat (just hope The Bomb doesn’t get dropped in summer). The message of SWITCH is the climate equivalent of the infamous quote by T.K. Jones, Reagan’s civil defense planner, that when it comes to nuclear war “If there are enough shovels to go around, everybody’s going to make it” . In the case of SWITCH, the message that gets across is that if we keep figuring out ever more ingenious ways of extracting fossil fuels, and maybe burn more natural gas, insulate our attics and drive our kids to school in golf carts, everything’s gonna be OK. We have a right to expect better from the GSA, and the sooner SWITCH disappears from the public discourse, the better. I think the first prerequisite for new nuclear build in most countries is clear political support for it. Without that, prospective investors are likely to feel exposed to unacceptable sovereign risk. In the UK both the Tories and Labour support nuclear power and so do, I think, the unions. That is the basic reason I think the UK will get at least some new nuclear build, though it will be a rocky road with plenty of problems. EDF is supposed to be making a decision right about now on proceeding with Hinckley C.
It looks like the form of support for nuclear in the UK will be contract for difference with a strike price possibly in the region 90-100 p/kWh. If the market price for electricity is less than the strike price, consumers subsidize EDF and if it’s higher, consumers get a rebate on their bills from EDF. Despite all the political noise, that strike price is not that expensive – similar to and perhaps a little less than that of on-shore wind. DECC estimate the LCOE of new unabated gas capacity to be 80 p/kWh, and new FOAK nuclear to be 81 p/kWh. There is no cheap gas. If you get get genuine bi-partisan political support, then I think specific support mechanisms appropriate to various national circumstances can and will be found. It’s hard to see it being anything other than very difficult in the US though for while with gas being so cheap. … Probably the cleanest way to level the playing field for nuclear would be to impose a carbon tax sufficiently high to allow nuclear to compete with the cheapest available fossil fuel. Given the difficulty of passing a carbon tax in the US, for renewables the approach has been direct subsidies and renewable portfolio standards. But so far as I know, we don’t have anything similar for nuclear power. A tax on fossil fuels proportional to their carbon content can be very clean or very, very dirty. It all depends on whether the proceeds end up concentrated in hands that can throw stumbling blocks in the paths of effective measures for fossil fuel conservation and substitution, or not. TOKYO (Kyodo) — Japanese tax revenues in February increased 4.8 percent from a year earlier to 3,348.73 billion yen as rises in the receipts of tobacco, energy and other taxes more than offset declines in major components, the Finance Ministry said Monday. This windfall happened, even though Japan doesn’t have a carbon tax as such, because the government prohibited the operation of most of the power stations that could use $0.25/MMBTU uranium in favour of ones using LNG ($16/MMBTU) or oil (significantly more than $16/MMBTU). Information on royalty rates is hard to find for Japan, and I haven’t seen similar candour on its Finance Ministry’s part this year — has anyone? — but in the USA the rates are either 12.5 percent or 18.75 percent. If a carbon-tax-as-such were implemented, and a Hansen-style rebating to the citizens of equal shares of its proceeds came into effect simultaneously, the most effective decarbonation methods would gain no undeclared enemies in the public service due to that revenue, because those potential enemies wouldn’t be getting it. If the dividend were instituted for existing fossil fuel royalty and excise tax revenues, without any new C-tax-as-such being added, every highly effective decarbonation method would lose the undeclared enemies in the public service that those revenues are buying for it now. Plus, that rebate would be a small tax reduction for most, and a larger one for the half of the population whose per-person rate of fossil fuel burning is less than the national average. People will vote for it if they get the chance. As is often the case with such discussions, I am really impressed by how hard some people work to avoid looking at accurate, up-to-date information on what is actually happening with renewable energy in the real world today, and to base their comments exclusively on “analysis” of renewable energy from pro-nuclear advocacy groups. Speaking as a man-in-the-street with no technical training in any of the areas under discussion on this site, but who’s been following climate and fossil fuel issues since 2005, two factors which are very worrying to me about existing nuclear plants are 1) the increasingly imminent impacts of global warming on the availability of cooling water supplies and 2) the threat to others from flooding. I can offer some comments about installed consumer photovoltaic. We live in the more or less sunny Everbrown half of the Evergreen State. We installed a 4.2 kw array of 22 photovoltaic panels that went online on 11 July last year. The cost of $42000 is balanced against a 30% federal income tax credit which we will apply to our 2012 taxes (although any amount of the credit we can’t use will apparently carry forward to future years). In addition, Washington State has a $0.54/kwhr production tax credit until 2020 (the generosity of the credit is dependent on using components manufactured in-state. Benton REA pays us something for power we feed into the grid when we are producing more than we are using. Finally, we have generated about 3550 kwhr in the almost 9 months since installation. April/May/June will likely be up and down weather, but mostly sunny, so we can expect to average 20 kwhr/day until 30 June, when out annual Washington production tax credit will be calculated. So, probably 5200 kwhr for the year and $2700 PTC for the year. Living in the hydropower-rich NW and with a public power provider, our electrical rate is around 8 cents per kwhr, so we also save about $400 dollars on our electrical bills. The installation is very well made, not at all a low-priced spread — it has survived a windstorm that probably reached 80 mph gusts on our hill side and caused extensive damage throughout our little desert metropolis. The most our 4.2 kw system has produced in a day is 25 kwhr. I don’t think carbon dioxide really poses a weapons proliferation problem. Do you? Nor would properly sequestered carbon need guards. The Cliffs of Dover are not in danger of being released as carbon dioxide to the atmosphere owing to terrorists are they? Well, first you have to make the case that expanding nuclear power is “desirable”. Because there is a very strong, if not overwhelming, prima facie case that expanding nuclear power is NOT “desirable” for a number of reasons — including but not limited to the toxic pollution associated with every step of the nuclear fuel cycle, from mining to permanent sequestration of waste, and the inherent undesirability of relying on a technology that requires mining, refining, transporting, reprocessing, re-transporting and storing massive amounts of the most toxic and dangerous substances known to science, in perpetuity. And that is, after all, the reason that nuclear proponents continue to insist, contrary to observable facts, that nuclear is the “ONLY” solution to meeting our electricity needs without fossil fuels. There is an implicit admission that nuclear power is inherently undesirable, so the argument is that expanding nuclear is necessary. This ignores the fact that nuclear power only exists because it has received massive subsidies for half a century, and that according to the nuclear and utility industries themselves, new nuclear power plants will only be built in the USA if the taxpayers absorb ALL the upfront costs and ALL the risks — including the very real risk that new nuclear power plants will not be profitable to operate by the time that they eventually go online. And if you want to “level the playing field for nuclear” in the USA, the place to start is by repealing the Price-Anderson Act. Thanks for trying to keep the topic focused, Raypierre. First of all, I’m absolutely in favor of putting a high price on carbon pollution, whether through a carbon tax, or cap-and-trade, or direct regulatory limits on CO2 emissions, because it will benefit ALL non-fossil fuel energy sources, not just nuclear power. The Snake River Alliance (“Idaho’s Nuclear Watchdog & Clean Energy Advocate”) has a recent (August 2012) white paper which provides a pretty comprehensive overview of current Federal subsidies for nuclear power, particularly the loan guarantees for construction of new nuclear power plants. I have been doing so. For example, my reply to Lawrence Coleman about the status of renewable energy in Australia (#78) included nine separate links to the sources of the numbers that I provided. I just posted a comment that linked to two separate reports on US government subsidies to nuclear power. First, by focusing on tax preferences and DOE programs, that CBO report misses important subsidies to the nuclear industry — in particular taxpayer assumption of risks through loan guarantees and accident indemnity (the Price-Anderson Act). Second, I would submit that choosing “as far back as 1977” as the starting point for comparing subsidies to different energy industries is cherry-picking akin to choosing 1998 as the year in which global warming “stopped”. Like, you know, can you think of anything that happened around that time that just might have negatively impacted public support for subsidizing nuclear power? And lastly, I really don’t think it makes sense to approach this debate by saying “let’s assume that expanding nuclear power is desirable and figure out the best way to do it”. If expanding nuclear power is NOT desirable — and particularly if it is NOT NECESSARY, which is my argument — then there is no point in figuring out how to do it. As far as I’m concerned, the real issue with nuclear power in the USA today is that we have over 100 nuclear power plants which we more or less need to keep running for at least a while longer, and there is very good reason — based on post Fukushima investigations and analysis — to be concerned about whether those reactors are being maintained and operated as safely as they should be. We still have no real solution to the ever-increasing problem of waste storage. We should address those issues before we embark on building the MANY more nuclear reactors that would be needed to make a “dent” in GHG emissions. Merely an anecdote, but I recall reading (on a blog) fairly in the period when Fukushima’s generation was daily front page headlines, a pithy comment on TEPCO by a stock annalist specializing in the area of non US utilities. His “take” on TEPCO was for a rather consistent history of external factors and “so sorry’s” offered as excuses for an under performing enterprise. The usual caveats apply, but I found the observation, provisionally, convincing as well as informative. Hank Roberts wrote that “molten salt thermal” (energy storage) is “a broad category being experimentally investigated”. Um, no. It is well beyond the stage of “experimental investigation” and already being used in utility-scale solar thermal power plants. The Andasol solar power station in Spain consists of three 50 MW parabolic trough CSP power plants with enough molten salt storage to provide up to 7.5 hours of full power output. The first of these power plants, Andasol-1, has been online since 2008. The Crescent Dunes Solar Energy Plant near Tonopah, Nevada is on schedule for completion this year. This is a 110 MW concentrating solar thermal power plant, which includes molten salt thermal storage to provide “up to 10 hours of full power storage, which enables it to supply power on an on-demand basis, just like any fossil fuel or nuclear power plant”. The developer (SolarReserve) has already signed a 25-year power purchase agreement with NV Energy. A smaller 10 MW solar thermal power plant incorporating thermal storage to provide 24×7 power, built by the Spanish company Abengoa, has just come online in Chile. Of course, it is true that other, innovative thermal technologies are already being developed, which may prove much easier and cheaper to build and operate than molten salt storage. Philip Machanick & others — For a technical discussion of molten sodium fast reactors, read “Plentiful Energy”. It is an account of the 30 year operation of the EBR-II, 30 years with no technical problems whatsoever. The Russians have experienced at least one sodium fire at their fast reactor; it was easy to control. They are currently constructing a larger version of their unit and plan to construct a full scale one thereafter. For excerpts and discussion of this book, see the appropriate threads on Brave New Climate, linked on the sidebar. I’ll add that the EBR-II has been commercialized by GE-Hitachi as the PRISM; it only awaits customers. As for transporting and otherwise caring for nuclear materials, this is already routinely done and in a much safer fashion than a great many other hazardous materials in routine use. For example, at this time of year the tank cars full of anhydrous ammonia arrive for the nitrogen fertilizer plants. Check out what happens when water is added; this is a dangerous operation which is routinely safely performed every year at the two nearby plants. David, what’s the date on Prof. Cohen’s risk analysis? Perhaps it’s been revised? I know the probability estimates have been revised in the past few years. is a fair statement of the old risk analysis and a good example of what the science-fiction writers call the two mistakes made predicting the future: failure of imagination, and failure of nerve. All the assumptions stated there have been revised since. The bright yellow band represents “yellow” energy. It is fairly obvious that yellow energy has displaced coal and significantly reduced GHG emissions in the electricity sector. If we place a high value on reducing GHG emissions, then why should there be an intrinsic problem with subsidies for “yellow” energy? Would such subsidies be a crime against the free market? Do purported environmentalists believe they have a moral obligation to take on the role of narrowly focused consumer advocates? Just what is the problem? last updated 31 May 2012 has vital statistics at the very end but does not contain an LLE risk analysis. quokka – I would say that subsidies are a crime against a freemarket. It means someone external to the market has picked a winner, not the market. I think people quite rightly mistrust governments to make that decision, especially when money (campaign contributions) can influence who gets subsidies. I think raypierre is right – carbon tax is better. For a start you set the level at the cost of the externality which is fairer than setting a subsidy at price to kill the competitor. Second, as raypierre points out, the market sorts it out. I think a subsidy seems preferable to tax only if you believe that you will pay the tax and assume the subsidies will be paid for by the fairy that magically pays off government debt. wherein I count about 70. Is that the late Prof. Bernard Cohen, the LNT denialist? But what is really worrying about nuclear power is that it still needs subsidies even though it has been around for years. The Vogtle plant construction is both dunning rate payers for construction costs and has a huge federal loan guarantee. No doubt they’ll get an effective feed-in tariff as well if construction is ever completed since all renewable competitors will be cheaper when the plants are commissioned. So, there you have a state subsidy, forcing rate payers to pay for electricity they don’t consume, a federal subsidy guaranteeing loans, and a utility subsidy, guaranteeing to buying the $0.20/kwh or more power the plant will produce. Construction delays and cost overruns are the way that nuclear power operates. http://thinkprogress.org/climate/2013/03/14/1700781/the-nukes-of-hazard-two-years-after-500-billion-fukushima-disaster-nuclear-power-remains-staggeringly-expensive/ If you want to slow climate response, nuclear power is your ticket for delay. Worse (from the standpoint of requiring a perpetual security state), over time, the waste becomes easier to use in weapons. I just don’t see how placing guards on the waste from fossil fuels protects anything at all. Just to reiterate, nuclear power probably does not pose the same philosophical quandary for a totalitarian state that assumes it will last forever as it does for a state like our own which protects its continued existence through the acknowledgement that it may not last forever. 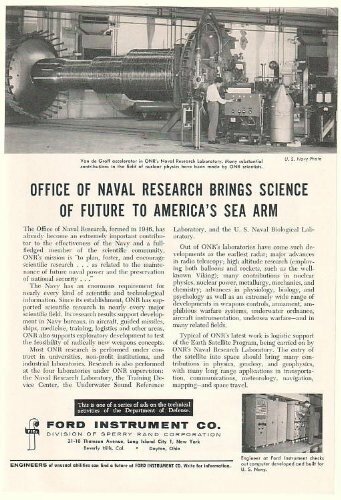 In fact, we have outlasted the Nazis and the Soviets and there systems may be more brittle and more at risk of losing control of material that could be used for weapons. The Nunn-Lugar program might be considered and example of how the stability we create by assuming the possibility of instability assists in reducing long term threats. But, we betray our founding idea when we create nuclear waste without a plan to transmute it to stable isotopes. That report explicitly rejects the notion of “collective dose” to evaluate population irradiation risks. Since that report was published both UNSCEAR and ICRP have also rejected the use of “collective dose” for such purposes. However the likes of Greenpeace persist in using collective dose to derive huge numbers of deaths from the Chernobyl accident. It’s politics not science. Personally I have no opinion on LNT (because I wouldn’t even start to have the expertise to sift through the evidence), other than to acknowledge that there is much still to be learned about the effects of very low radiation dose and LNT appears to be the upper bound on harm. So I guess I’m an LNT denier too. Why don’t you calculate the emissions saved per dollar of subsidy for nuclear power and non-hydro renewables in the United States? You could start with the numbers on the ClimateProgress blog piece if you like. Avoiding emissions surely is the whole point isn’t it? That one is pretty easy. Drop a radius the size of the evacuation zone for the Fukushima accident down over the Indian Point reactor. Add up the property value in that radius. It turns out that a payout of the Price-Anderson liability could make the federal government insolvent. So, the risk is the existence of government itself. Price-Anderson should be repealed, and reactors in very high property value areas should be closed as uninsurable risks. I cannot conceive of what a “crime against the free market” would be. A crime? Really? Words of that sort show up all the time, and it’s just a part of modern cant. Our era’s phrenology or Divine Right of Kings. That one is pretty easy. The remaining uranium supply is good for about 75 years at the current rate of consumption. Solar is good for 2 billion years at essentially any rate. So, nuclear displaces about 5% or less of the remaining fossil fuel supply and solar (including wind, hydro and biofuels) the rest. Nuclear subsidies are very ineffective in avoiding emissions. Reading the review of the movie, I am reminded of a saying in my mother tongue that half-truths are irrefutable lies. It is a pity movie isn’t better, because a change in the energy mix is already under way, and the process is likely to accelerate. In discussing renewables and electricity generation it is important to try to separate local small scale adaptation of solar or wind (ongoing throughout the developing world) and grid connected large scale production sites in the industrial or industrialising world. With regards to a switch to cleaner source of electricity production it is the latter group that matters. Currently the world electricity production is about 21 431 TWh, thereof 68% is generated with fossil fuels, Nuclear is about 13%, Hydro about 16%, wind energy is somewhere between 1 – 2 %, and other sources (solar, biofuels, tides etc.) are smaller (see Key World Energy Statisics, iea.org for details). The book “Wind Power” by Musgrove goes through the history of wind energy and offers useful perspectives on the coming decades. Although the current share of wind energy is quite small, this share went from 0.1% to 1% in the first decade of the century. From the 1990’s to 2010 the annual growth in installed capacity of wind power was roughly 25% a year, and thus the doubling time of installed capacity was less than 3 year. While the growth in some countries seems to have saturated (Danmark has had a fairly stable ~3000 MW wind capacity for many years), there is no reason to expect the global growth to stop in the coming years. In 2012 the growth in installed capacity was about 20% globally. With this in mind, it is likely that wind will reach 10% of global electricity generation around 2020. After that continued growth of wind power will depend on off-shore development. Already there is substantial near-shore development occurring, and this is likely to accelerate for various reasons. The interesting thing with offshore is that there is more scope for innovation. Foundation costs are higher, and starting costs are relatively insensitive to turbine size. Thus the economies of off-shore wind farms will likely result in larger turbines (10 – 15 MW range). While the current growth of solar power is astounding (according to the 2012 BP statistical review installed capacity grew by a factor of 10 in the last 5 years) they are starting from a low base line. However, there is no reason to assume that solar will not become a fairly big player in the coming decades. My impression is, however, that the technology is less mature than that of wind power. With regards to the capital cost of nuclear, Musgrove makes an interesting comparison with wind power. In both cases the costs are dominated by the repayment of the capital costs over some number of years. This means that the expected return on investment, and patience of the investor become major issues. In decades past, public sector owners of electric utilities were typically satisfied with 5 – 8% return and repayments over the life time of the power plant, a few decades in the case of nuclear. Private owners are usually not this patient and need a higher rate of return. Thus, you can expect the mix of public vs. private ownership of utilities to matter in how quickly the energy production mix changes. (In France, Électricité de France (EDF) the main utility is 85% state owned). To summarize, the world is on course for a change in the energy mix, with renewables and nuclear taking an ever larger part. However, time is not on our side, and even in a “optimistic” scenario where renewables+nuclear exceed 50% of the total by 2030, that still leaves huge amount of fossil fuel generated electricity. Fossil fuel use for electricity generation has been growing for about 3.5% a year for the last 40 years, and on those rates it will almost double before 2030. Judging from the review and the comments of the director, the movie authors seem to be resigned to the continued growth of fossil fuel use. However, this is not a foregone conclusion. There is a well known statement to the effect that nations will sometimes to the right thing, – but only after exploring all other options. As the costs of climate change mount it is likely that the energy policy will change, with an all-out push for a rapid change in the energy mix. I hope it won’t be too late. “Uranium resources will not be a constraint for a long time. This finding relates to uranium use in a once through nuclear fuel cycle and does not include potential for extraction from seawater which the report did not dismiss and reserved for future study. In a closed nuclear fuel cycle there would be about two orders of magnitude more energy from the same amount of uranium (or thorium). And resource availability would not be an issue for a very long time indeed. See the geologists will tell you about energy sources that require employing geologists. The following link is to a video of the 20112 Keynote Session of the PGI Conference. The video includes speakers from FERC, GE Power & Water, Tampa Electric and Babcock & Wilcox, talking about potential near term changes and challenges in the power industry, including generation. The video is long, and not information/policy dense, but it does give the viewer a sense of what the power industry anticipates. In the US, the expectations include higher efficiencies, slowing demand growth, continuing regulation, (read less coal/CO2), increased generation distribution, greater reliance on grid based demand management/load balancing, more gas generation, more renewables, (a bias toward solar), and uncertainty around nuclear generation. The grid, its management and perhaps more importantly, its governance, will be critical regarding future generation and transmission. Rules and definitions matter. For example, a regional utility may invest millions into measurable demand management technologies. The achieved quantifiable reduction in peak demand could be treated as “grid generation” and compensated as such. Successful generation distribution will depend on distributed grid access. Rules around access might be loosened to accommodate regional renewable generation advantages, or small scale “drop in” generation and storage. An example might include private or co-op CHP. These kinds of changes are occurring. Future rule changes could be written to favor carbon free generation for grid entry and transmission. In essence, a generation carbon tax could be levied at the point grid entry. No need for national legislation… and the courts have been sympathetic to potential harm of CO2 emissions. Smaller, modular nuclear generation with better load following ability, reduced capital investment and construction constraints, may be a good fit to this kind of structure. Rules regarding the order of fuel sourced generation dispatched by utilities could be changed. Often the utility is legally obligated to dispatch the least cost fuel generation first. In the US this usually means coal or hydro. Rules could be modified to include externalized costs and load balancing. For a number of reasons the SE of the US seems amenable to the construction of nuclear generation. I am not familiar with the local hurdles/battles/delays that prolong the process, but in the interest of R & D, if nothing else, that region appears the best hope for construction. Unconventional gas has given us a reprieve of sorts, and every effort, including renewables, of course, toward a C free generation should be taken. Finally, few will be content leaving our carbon future to the utility industry. The link above points to a strong inertia, some might say lethargy, but the change is underway. The power/utility industry is not the denialist community. They are the begrudging horse at the water, so to speak. Maybe Sam Brown could inspire a drink! Right — put them in poor neighborhoods. What could be more obvious to a “right” thinking person? No, not if you frankly admit that you don’t know. I don’t either, but I do pride myself on a sensitive nose for denialism of any kind. You should get one too… protects you from fooling yourself, the most dangerous kind of getting fooled. Again I’ll link Bob Applebaum, a retired nuclear physicist. He’s an equal-opportunity debunker: no kind words for Arnie Gunderson either. REN21, an international nonprofit organization that “promotes renewable energy to meet the needs of both industrialized and developing countries that are driven by climate change, energy security, development and poverty alleviation”, published their first “Renewables Global Futures Report” (4 MB PDF) in January. The report “presents the range of credible possibilities for the future of renewable energy, grounded in the opinion of 170 leading experts worldwide and the projections of 50 recently published scenarios”. The scenarios reviewed come from a variety of sources, including governments, international agencies, trade groups, corporations (ExxonMobil) and clean energy advocacy groups (Greenpeace). Given that Chris Dudley was writing about the potential damage from a major accident at the Indian Point reactor, located 35 miles from midtown Manhattan, the “neighborhood” involved would be a very “high property value area” indeed, and would include both rich and poor people. According to the New York Times, Indian Point’s existing evacuation plans cover a 10 mile radius, inhabited by about 300,000 people. A 20 mile radius (comparable to the “area of highest concern” at Fukushima) would include nearly a million people. “In the case of a comparable disaster here, this is what a 50-mile circle around the Indian Point nuclear plant on the Hudson River in Westchester County would look like: past Kingston in Ulster County to the north; past Bayonne and Elizabeth, N.J., to the south; almost to New Haven in the east; and into Pennsylvania to the west. It includes almost all of New York City except for Staten Island; almost all of Nassau County and much of Suffolk; all of Bergen County, N.J.; all of Fairfield, Conn.
That seems rather fanciful since it seems to assume that mining ore that is 1000 times less abundant in uranium will cost only 50% more to mine than currently. Might as well grind granite with your teeth and never expect to need a dentist. The physical scale of mining uranium from sea water makes it untenable as a supply. Mentioning it shows a definite tendency to fantasy. Redbook numbers indicate a feeble supply and it is not as if prospecting for uranium is hard. People covered the world back in the fifties. We know where it is and that it gets hard to get at the end of this century. BEIR VII reviews the evidence to conclude that there is insufficient evidence to discard LNT in favor of the more accurate quadratic-linear dose relationship for solid cancers. They found that quadratic-linear was statistically significantly preferred for leukemia. I emphasize that the data is based on dose applied almost instantly; a high dose rate. I further opine that the statistical treatment was inappropriate; a Bayesian analysis was not performed. Using the simplest of DNA repair models, neither is plausible at low dose rates, although quadratic-linear is closer. A recent experiment performed at LLNL indeed shows this simple model is about right, but further research is obviously required. It’s misleading to assert that “low levels of radiation” may be harmless or even helpful, as a generalization — any uncontrolled source (whether from some aspect of fossil fuel production and use, or some aspect of fission production and use) is going to produce various kinds and doses over time. Even if some specific form and dose proves hormetic for some specific purpose — we aren’t going to get a power industry that happens to increase only that particular result. The low-dosed bean seeds germinated better than the controls; the mid- and high-dose, worse and much worse. Hypothesis, zapped fungi and other stuff living on the seed coat. But I didn’t try to pursue it. Ah, the 1950s — wonderful time to be a kid scientist. “Sure, kid, just step behind the concrete wall there and we’ll do’em for you.” Just walk in and ask. Not so easy nowadays for grade schoolers to get access! The most recent research indicates a cost of $300/pound of uranium extracted from sea water. In view of the small portion of the cost of nuclear power due to the cost of uranium, even today that is not prohibitively expensive. It is not unreasonable to assume that further research could lower that substantially. It is not possible to rule out extraction of uranium from seawater at economic cost. Quite the reverse. It seems more likely than not that it may be possible, especially over the time frames where it may need to be called upon. There is lots of time to develop such technology. Remember how it started folks: not with the Hiroshima survivor studies (that sadly still are the most extensive empirical material for studying dose-effect). It was a young British medical researcher called Alice Stewart, who discovered in the 1950s, that the then common practice of X-ray scanning pregnant women produced childhood lukemia, a finding long opposed by the medical establishment — what doctor likes to be told that they have been killing children? — but now conventional wisdom. Whenever an industry tells us that a risk that interferes with their business operations is ‘uncertain’ and should be ignored, I stop taking that industry seriously — and the think tanks and crooked scientists that speak for them. It really is as simple as that. Or should be.